The practice of managing student behaviour needs a serious rethink, according to an expert in education psychology and learning difficulties. 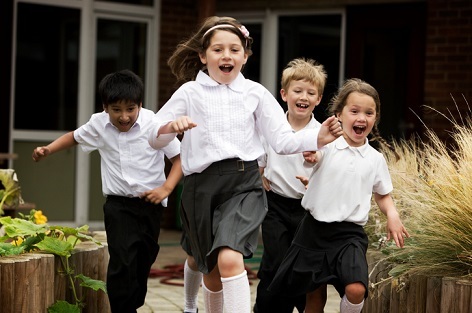 One survey found that when managing student behaviours, around 85% of teachers reported using a “step system” involving an escalation of actions during the last week of teaching. Another longstanding practice used in schools is the “ripple effect”, where teachers reprimand students in front of others, or keep public records of students who are non-compliant to influence behaviour. However, Dr David Armstrong from Flinders University said there is little evidence that behaviour management works as intended – and can often have the opposite of its desired effect. According to Dr Armstrong, the main problem is that the “manage and discipline” model is based on flawed but “deeply-rooted” assumptions about child psychology and development, such as the idea that children’s behaviour can be understood and controlled in isolation from its broader context. “The model is especially ineffective for students with learning or mental health difficulties,” Dr Armstrong said, adding that the emphasis on discipline and behaviour is likely to be inappropriate at best for students with significant mental health difficulties. Instead, Dr Armstrong said, teachers need to abandon the old-fashioned classroom management model, and they need to adopt modern, research-based approaches from behavioural science. Secondly, he said, it is helpful for teachers to recognise that children are not acting in isolation, but as part of a dynamic: teachers’ own stress and emotional responses also affect those of their students. In contrast, by bringing calm to the classroom, teachers can help foster a calm and safe environment for students. Dr Armstrong said there needs to be evidence-informed programs on a state and national level to reduce teacher stress. “Part of the problem is a tendency for the public and policy-makers to respond to panic rather than the best available evidence, making the behaviour management model difficult to dislodge,” he said. Does strict discipline pay off in the classroom? Do schools need to rethink disciplinary practices?